Start the new year with a new vehicle in your fleet. Add Chevrolet Equinox Leases and receive a stylish, capable crossover and a lease to help you make your finances work for you. Enjoy a range of tax incentives when you lease a vehicle and package all your maintenance costs to allow you to make the most of your cash flow and set a payment schedule that works for you. Fixed term, you can upgrade at the completion of the term or pay it out and keep the car that you have grown to love. 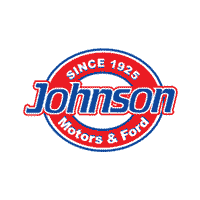 Get started at Johnson Motor Sales and get an Equinox on your team. Chevrolet Equinox Leases deliver a functional, compact SUV designed to make your day easier. From a generous cargo space, with a maximum load volume of 63.5 cubic feet accessed by folding the 60/40 split fold rear seat, to a range of advanced safety features that keep your vehicle occupants safer on the road. Helping the driver to avoid potential hazards and with a rear seat reminder chime when the doors have been opened, the Equinox will be a real friend to your business and family. With three clever engine choices, you can go further with less fuel. Comprising two turbocharged gasoline engines and a turbodiesel, your needs can be accommodated, whatever they are. The bonus is all three deliver the clever stop/start feature which means the whilst you are stopped, you aren’t wasting any fuel. Chevrolet Equinox Leases put you in control of more than just the payments. Stay connected via Apple CarPlay or Android Auto allowing you to access your compatible smartphone via the vehicle’s color touchscreen. Imagine not having to take your eyes of the road to access your phone, text messages, apps, or playlists. Chevrolet is charged with making the road safer for everyone. Discover all the benefits of Chevrolet Equinox Leases at Johnson Motor Sales.